A new museum dedicated to all things cycling in Brussels opens its doors to the public later this month - including furniture and sculptures made from old bike parts. Velomuseum, on the Quai aux Pierres de Taille in downtown Brussels, describes itself as "the place to be for recreational bikers, cultural heritage lovers and bicycle fanatics". The new project is the result of a partnership between cycling organisation Cyclo, Muntpunt and AMVB, the Archive and Museum for Flemish Life in Brussels. It aims to take visitors on an interactive tour of 150 years of cycling history in the Belgian capital - since it was in 1869 that city authorities first introduced traffic regulations for bikes. Velomuseum will also include a bike repair workshop where visitors can improve their cycle maintenance skills. Guided bike tours are planned later this autumn and next spring. Muntpunt will show documentaries and debates about cycling. To coincide with the launch, Cinematek is planning a programme of screenings in October and November dedicated to the bicycle. Brussels mobility minister Pascal Smet and Flemish culture minister Sven Gatz will inaugurate the museum on 22 September, at a ceremony which will also feature electric bicycle demonstrations and a preview of a play about the life of Belgian cycling legend Eddy Merckx, written by former professional racer Koen De Koker. 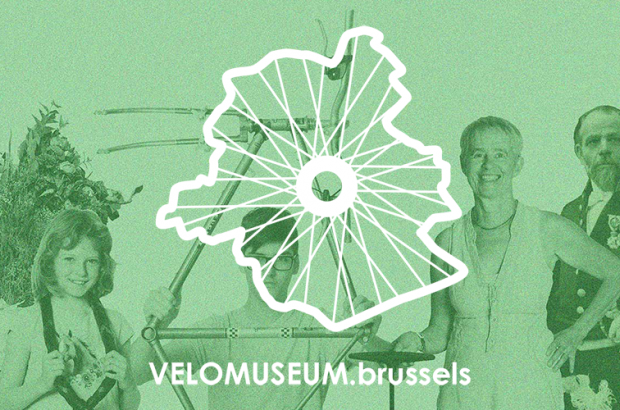 "The exhibition takes us back to the roots of cycling in Brussels, from the creation of the Véloce Club Bruxellois as the sole and only Brussels and Belgian Cycling Association, all the way to the latest mobility policy measures," said museum curator Mike Carremans. "Brussels bike factories, the numerous local and national cycling associations in our capital, the part played by the bike in yesterday’s and today’s daily life as well as the highlights of famous Brussels bike races, lost velodromes and cycling champs throughout times will be showcased."